Antlers are a fascinating anomaly in nature. Living tissue that is re-born and dies annually only to re-start the process again. We love to look at antlers, hunt them, collect them, sell them, measure them, decorate our house with them, and admire and hold them. For big game animals they are more than fascinating and cool. Nature doesn’t produce things for fun, it’s for a purpose. Antlers are a tool for big game. Primarily antlers are a tool for mating. Antlers symbolize fitness and health to females and fend off mating competitors. Antlers are weapons that have evolved to maximize individual reproductive success. If this was the only function antlers served then one might assume that antlers would be shed shortly after breeding season but we all know that doesn’t happen. Mule deer and elk both hold onto their antlers through much of the winter with elk holding on to them longer than any other North American cervid, usually into and through March. To the scientific community that suggests that they have some other sort of secondary function. That secondary function is relatively poorly understood from a scientific perspective. A secondary role many biologist have suspected is they play a role in fending off predators but have yet to prove this theory through scientific research backed up by data. 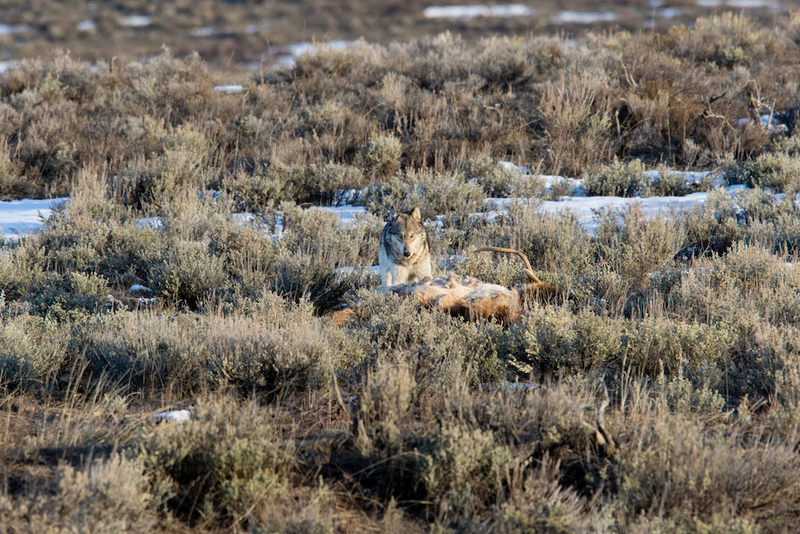 Years ago employees and researchers in Yellowstone National Park noticed a unique dynamic between elk and wolves. They saw that in March when elk began shedding their antlers the wolves took note. It seemed that wolves were targeting and killing elk that recently had lost their antlers and leaving those who hadn’t alone. Those early observations led to a study of over a decade’s worth of data that found an evolutionary tie between wolves and when elk shed their antlers. The longer the elk kept their antlers, researchers found, the better able they were to fend off wolves. Their findings were published in Nature Ecology & Evolution. The findings are quite interesting because if you think about the primary reason they have antlers it’s for reproductive success. If a bull shed those antlers earlier that bull will have more time for antler growth and give him a better chance of being reproductively successful with bigger antlers to fend off competitors the following breeding season. So holding onto antlers longer is something that evolution has sorted out through thousands-and-thousands of years because of wolf interactions across North America. 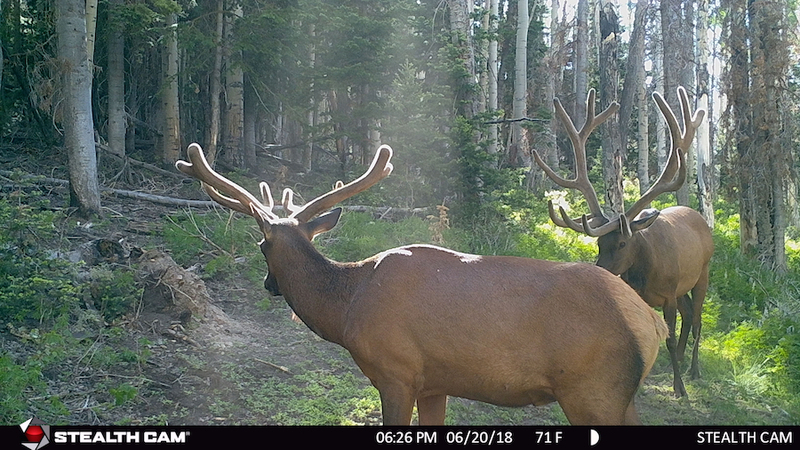 Bull elk face a trade-off: individuals shedding antlers early begin regrowth before other males, resulting in relatively larger antlers the following year, and thus greater reproductive success. Or holding onto them longer to survive wolf predation during the winter when their most vulnerable. These bulls have strikingly different sizes of antlers. One bull looks as if he’s been growing for months and the other looks as if he’s recently begun. It’s interesting to think about when the bulls shed their previous years antlers. It’s interesting today as wolves have been returned to some of these landscapes and are seeking out elk with the same fierceness they did centuries, even millennia ago. This relic piece of evolutionary history was never lost with elk, although the wolves were for a time. Even with local extirpation of wolves elk continued to lose antlers later than any other member of their family as if awaiting for the return of Lobo. Now that the wolf is back among some of these elk herds it’s as if the process never missed a beat. So next time you’re watching a bull and waiting for it to shed, remember those ancient primal predator-prey process that helped shape when you shed hunt.